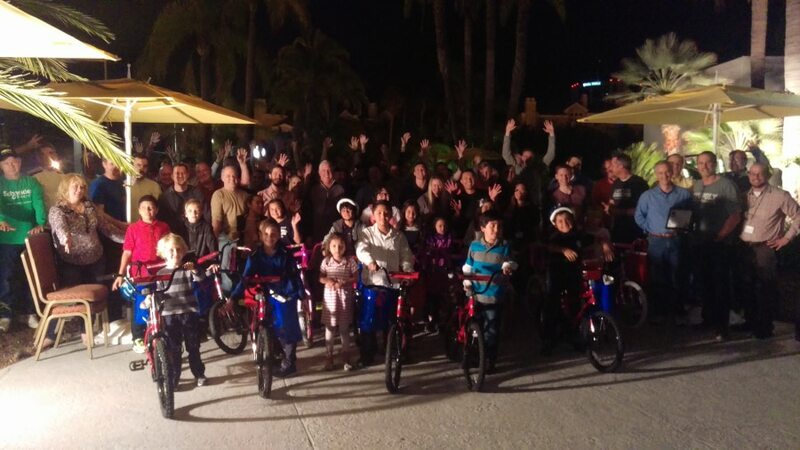 Schneider Electric was looking for a fun way to bring their group together and give back to community, so they chose to do Build-A-Bike ® with The Leader’s Institute ®. This group had a busy day of break out sessions, followed by dinner, and then Build-A-Bike ® was their last activity of the evening. Although a lot of them came into the event tired from a long day, they were inspired by the idea of giving bikes to kids who could really use them. Want great feedback like this when your team gives back to your community? Call us toll-free at (800) 872-7830 for details!